The season points opener for The O'Reilly Auto Parts Friday Night Drags & Show-N-Shine, the popular street-style drag racing series and one of the largest organized programs of its kind in the country at Atlanta Motor Speedway is set to crank up on Friday, June 8th on the pit lane drag strip. Wet weather forced the cancellation of the points opener and all racing on June 1st. Drivers have used the first two weeks of the season to tune up in preparation for the 2019 season. "I still have some things to work out with such a heavy car compared to lighter cars in my class," explained Heather Utt of McDonough following her week two win in the Sport Compact Division. "But at least now I know the track that I'm working on to improve my skill and to match what my car can do better to hopefully repeat this performance." 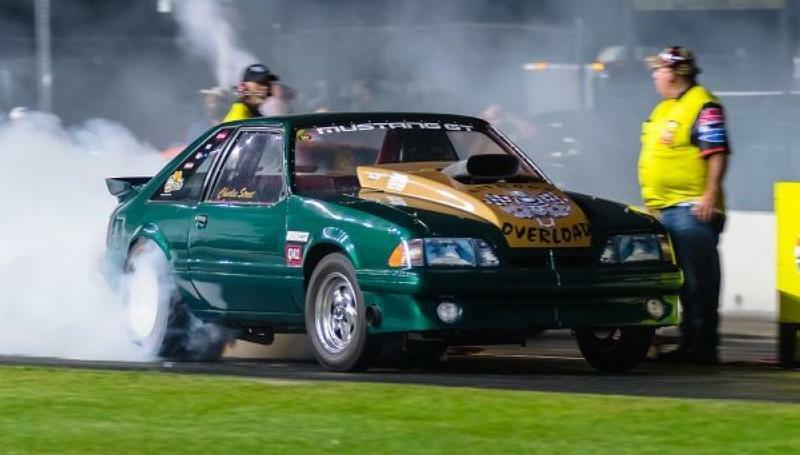 Fans and competitors of Friday Night Drags are eagerly anticipating cars getting back on track this season. "I've been coming for five or six years now," said Ed Blanford of McDonough, driver of the 1968 Ford F100 in the Starfire Automatic Gates Truck Division. "It's just a lot of good clean fun going on at AMS."